Rosedale began when Sherrif William Botsford Jarvis, and his wife Mary settled on a homestead here in the 1820’s. It was Mary Jarvis who came up with the Rosedale name, as a tribute to the profusion of wild roses that graced the hillsides of the Jarvis estate. For over one hundred years Rosedale has held the distinction of being Toronto’smost fashionable address. 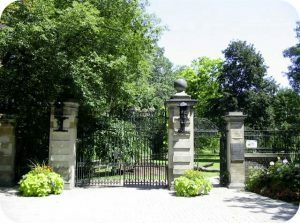 Many of Toronto’s wealthiest and most prominentcitizens reside in the Rosedale neighbourhood. The neighbourhood is unique in that it is surrounded by beautiful ravines and parkland that make you feel as if you are far away from the city, while in reality the neighbourhood is just a few minutes from Toronto’s major business, entertainment, and shopping districts. Rosedale’s Victorian, Georgian, Tudor, and Edwardian style mansions were built between 1860 and 1930. Many Rosedale homes are listed on the Toronto Historical Board’s Inventory of Heritage Properties. 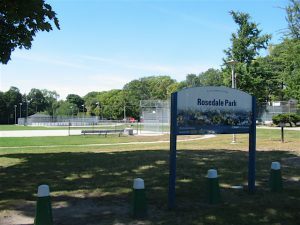 Rosedale is traversed by a network of ancient ravines, including the Vale of Avoca, Moore Park, Park Drive and Rosedale Valley ravines. The beautiful trails in these ravines are enjoyed by nature, and fitness enthusiasts alike. Access points to Rosedale’s ravine trails are located at designated spots throughout the neighbourhood. Park Drive Reservation Lands is a dog friendly off-leash dog park located in Toronto ON. 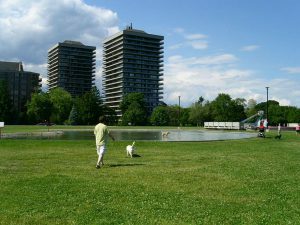 A 20.5 hectare park near Yonge Street and St.Clair Avenue West featuring a large open space on a reservoir, ornamental fountains, reflecting pools, a gated garden retreat, and a children`s playground. 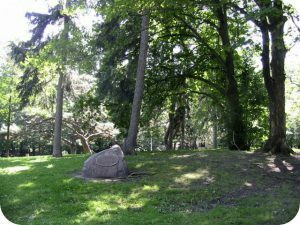 The park overlooks a forested ravine that is a tributray to the Don River. Trails lead down into the ravine and connect to the Kay Gardner Beltline Trail.